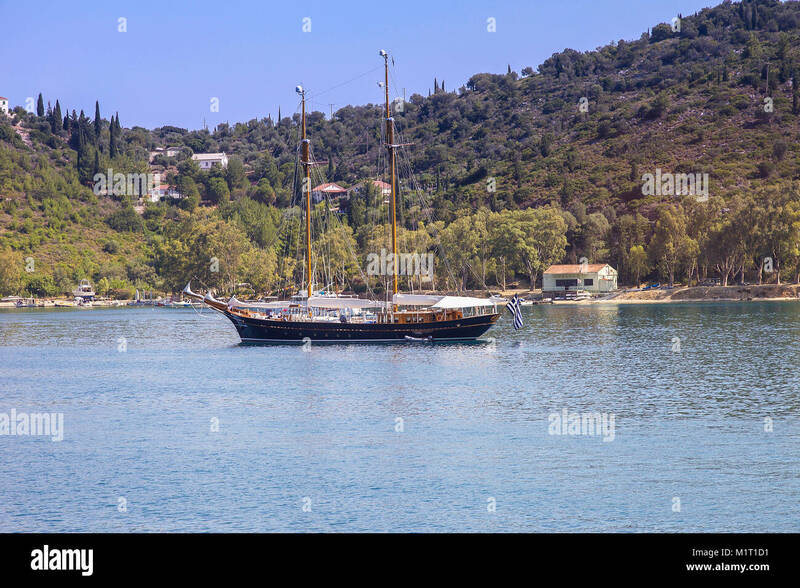 Ithaca - Greece July 13 - Big wooden sailboat anchored in a bay on the island of Ithaca off the northeast coast of Kefalonia and to the west of continental Greece. Ithaca July 13 2016. Greece.